Fundamental to magick is a belief that the phenomenal world of the five senses is incomplete. Magickians believe that we live in a world quite different from the one our five senses show to us - they believe that every living thing possesses, because it is living, certain energies which we as individuals can sense and 'see' if we become receptive to them. This receptiveness is one of the aims of magickal or Occult Initiation - and may be said to involve the individual in becoming aware of the essence of things that is hidden by their outward appearance (and this applies to other individuals, as well as 'things'). According to the Septenary tradition, these "magickal energies" possessed by things and 'life' derive from what it is convenient to describe the acausal - that is, every living entity is a point or region where acausal energies manifest in our causal, phenomenal, universe, the amount and type of this energy being dependant on the type of entity. These acausal energies (which science because it at present deals only with causal entities and energies, cannot describe) may be said to derive from a parallel acausal universe which intersects our causal universe at certain places. We as individuals, because we possess the faculty of consciousness, re 'gates' to this acausal universe. We possess the (mostly latent) ability to 'open the gate' to the acausal which exists within our own psyche to draw from the acausal certain energies, and these energies can and do alter in some way both our own consciousness or other entities/energies which exist in the causal. This "drawing of energies", and their use, is magick. 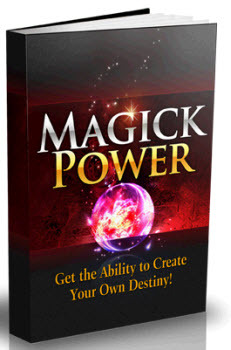 External magick is the use of such energies, directed by individual desire, to bring about changes in the causal; Internal Magick is the use of these energies to bring psychic, internal change. To draw upon such energies it is usually necessary for the individual to use some form of framework or symbolism, and techniques of external magick use such symbolism to bring both apprehension of the energies and their control. Various systems of symbolism exist - most denoting types of energy by gods, goddesses, spirits or demons. In reality, the actual symbols are of only secondary importance, and a Magickian who is following the path to Adeptship will soon discard such symbols/names/descriptions (and thus External Magick itself) in favor of apprehending such energies as those energies are in themselves. In the Septenary tradition this is done first via the 'Tree of Wyrd' (the seven spheres and the pathways connecting them - see Appendix I) and then through the 'Star Game'. The Tree of Wyrd may b seen as a map of consciousness: both individual (of the psyche) and of those regions other than the individual where the acausal and causal meet. The symbolism of the spheres and the pathways (the Tarot cards, planets, incenses, 'god-forms' and so on) are the first or Initiated stage of apprehension of the Star Game. 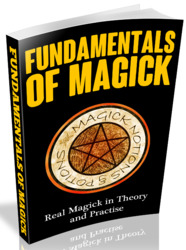 External magick is divided into two forms or types: hermetic, and ceremonial. Hermetic magick is basically that involving only one or two individuals whereas ceremonial magick involves more and may be said to be 'formal' magick involving specific rituals or rites (usually written down and followed exactly) and an organized Temple/coven or group. (Part Two of the present work deals only with hermetic magick of the Septenary tradition - the ceremonial side being covered in such works as 'The Black Book'.) Internal magick is always individual.